Each month, we send out "The Big & Little Scoops" - an e-newsletter showing all the fun our Bigs and Littles have been up to on Hawaiʻi Island, Kauaʻi, Maui, and Oʻahu. Click here to read our latest scoops or sign up for our mailing list. We are so exited to introduce you to our new website! The goal? To make it easier for you to enroll a child, volunteer as a mentor, or donate. Thanks for visiting, reading, and sharing! Join us on Saturday, August 26th at the Hilo Hawaiian Hotel for a special Dessert Before Dinner fundraising event - helping Hawaiʻi Island's keiki has never been so sweet! Register before July 13th and save $5 on admission! During the entire month of June, the Hawaii Fudge Company is partnering with us for a super sweet fundraiser. Don’t stress about what to get your dad or grad, give the gift of fudge! Every piece of fudge sold on their website with the code “FUDGE4KIDS” equals $4.25 that gets donated back to Big Brothers Big Sisters Hawaiʻi! Please see the flyer to the left for more information and make sure to order before the end of June. ​Meet the first graduating class of our Holomua Online Mentoring Program at Castle High School, see photos from Maui's annual fishing competition, and learn how American Savings Bank and Maui Electric are supporting local keiki in a BIG way....the May "Big & Little Scoops" is out! Join us at this year’s Monster Mash Bowl for Kids’ Sake on Saturday, September 9th and 16th! Halloween is coming early to ʻAiea Bowl and we guarantee it’s going to be wicked good time, all while supporting Hawaii’s keiki. As always, hilarious team rivalries, outrageous costumes, and all levels of bowling skill (or lack thereof) are welcome and encouraged! 5/18/17 - Perfect Pairings...A Perfect Success! ​On May 11th we hosted our 4th annual Perfect Pairings event featuring Master Sommelier Patrick Okubo at the Oahu Country Club. It was a special evening of food and wine pairings, raising $46,000! Mahalo to all who supported this event! Joseph Kim, a Big Brother at Maui High School, received one of two $10,000 Mamoru Takitani Outstanding Student Awards, the top scholarship amount presented. He will be attending Columbia University in New York City in the fall. 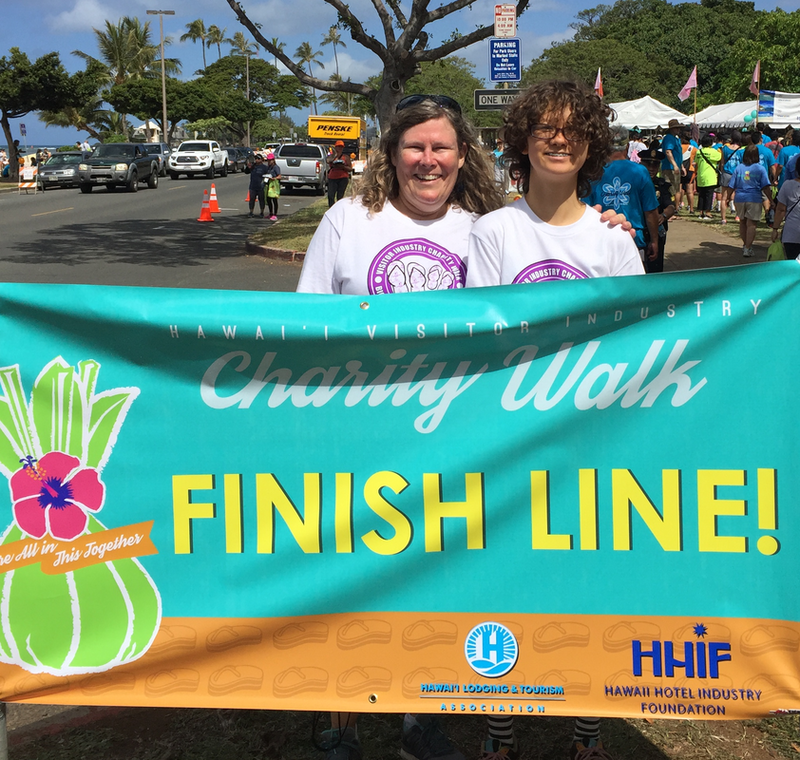 May means it's time for the Hawaiʻi Lodging & Tourism Association Visitor Industry Charity Walk! You can participate by walking on behalf of Big Brothers Big Sister on Oʻahu, Maui, Kauaʻi, or Hawaiʻi Island. Join us for the "Carnival Masquerade Bowl For Kids’ Sake” – Big Brothers Big Sisters of Maui’s 30th Annual Bowl For Kids’ Sake! All proceeds from this event will directly support mentoring for Maui’s at risk children. 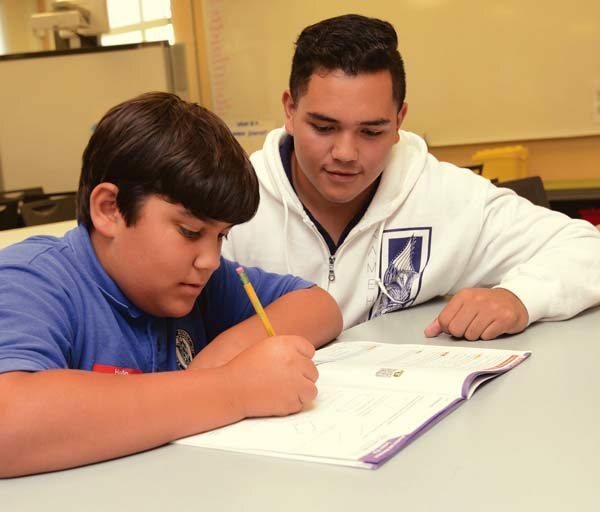 Kawehi Raboy-McGowan is a Big Brother in our after-school mentoring program at Kamehameha Schools Maui, where he volunteered as a mentor for the past two years.